With summer around the corner and so much for me to do at the present time, I have decided to take a break from posting at this site for an indeterminate period. This will be the case with all of my blogs except for Tossing It Out which will most likely go into a cut back summer schedule to be decided in the next week or so. If circumstances change I may be back up and running at A Few Words, but the time being my projected date of return to this site will be sometime in September. 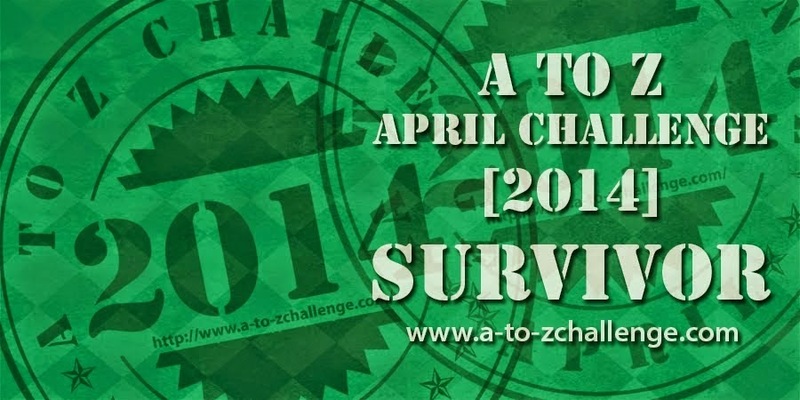 As a participant in the 2015 Blogging from A to Z April Challenge I'm joining in with others who are offering their reflections on this sixth edition of the annual event. The Reflections posts have been a tradition from the first Challenge in 2010. 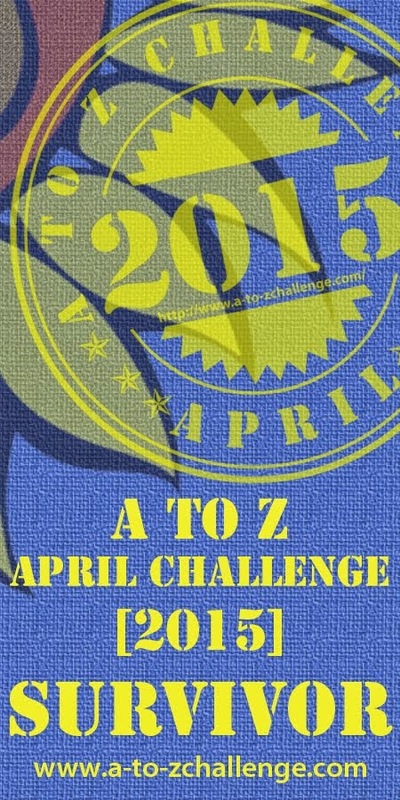 To see the entire list of bloggers with Reflection posts visit the A to Z Challenge Blog. The Linky List will open on Monday May 4th. As a rule this blog receives few visits with a very minimal number of comments. This past April was no exception. During A to Z A Few Words had an average of less than 50 visits per day with the largest number occurring for the post I for Idols which received 90 visits. This was the only post I promoted to any great extent and even though the post had more visits then others, there were only three comments on this somewhat controversial approach that I took regarding this topic. Low turn-out is probably to be expected on this blog due to the nature of the subject matter. Of course I'm disappointed that there are not more visitors to this blog, but I'm not surprised either. Something that I do wonder about is how many people actually do find blogs from the Linky List. A Few Words was added a few days after the list opened and probably started near the number 500 spot or somewhere in that vicinity. I guess we'd need to know more stats from other bloggers to come close to any conclusion about the effectiveness of visits coming from the Linky List and that's something we'll likely never know for sure. As on my other blogs with low traffic, I'm disappointed about the performance but not discouraged. At least I have content added to my blog that has the potential of being seen by someone eventually. And some of the content might be something I can eventually use for other purposes one day. Content is good to have on hand as we never know when we might need it or how it might be useful to us. My focus remains on my main blog Tossing It Out. That's the blog I tend to promote the most and the blog that serves my interests the most. I see A Few Words as my attempt to serve God. Even if this blog is merely writing and blogging practice for me, preparing the posts helps keep me in some Bible study while giving me more opportunity to write. 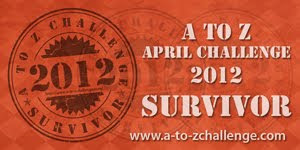 The blog is not in vain nor is participation in the Blogging from A to Z April Challenge. Sometimes the effectiveness of what we do now is not evident until sometime in the future. We hear much condemnation of Israel in our time. This is not surprising to anyone who knows the Bible. The amazing prophecies of thousands of years ago should be enough to turn all eyes upon Jerusalem in reverence and awe. Yet, as predicted in books of the Old Testament, Jerusalem has become a source of contention to many nations. The time of settlement of this dispute appears to be close at hand. Many nations are turning against Israel and this is their mistake. God will protect Israel and those who condemn the nation will face judgement and ruin. If you think of "Zion" with negativity then perhaps it is time for you to research the matter. Christ will one day rule from his throne in the Holy City of Jerusalem. The lines have been drawn. Which side are you on? 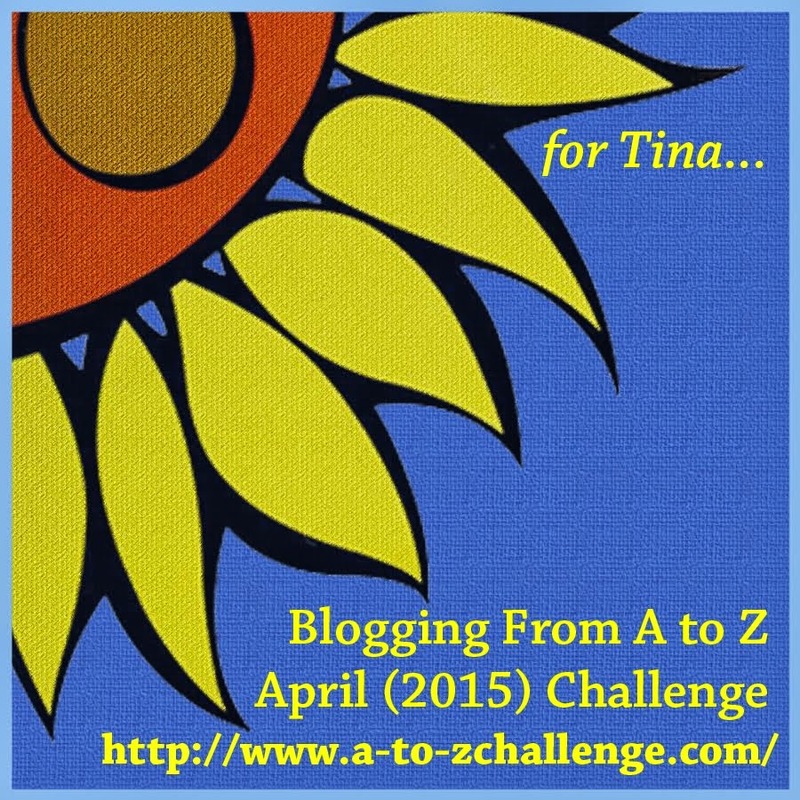 And so ends the 2015 Blogging from A to Z April Challenge. My A to Z Reflections post for this blog will appear on Sunday May 3rd. The time of youth is often the time of rebellion, irrational behavior, and egocentric focus. When we are young, strong, and full of vitality we can feel indestructible with the attitude that we only need tend to our feelings of the moment without any regard to the future. Unfortunately many young people don't think they need a loving God ruling over their lives. Instead they create their own gods and try to take charge of everything themselves. An awareness of grower older often hits us at inopportune times in our lives. At some point we find ourselves as members of the generation for which we may have once felt disdain. We become the adversary of youth and the advocate of orderly existence. Eventually we are the old, the feeble, and the diminishing in health as we become at the mercy of that generation of which we were once a part. If only we could see things of the future through our eyes of youth. When we have good examples in our parents and elders there is an opportunity to learn and better understand. Parents have a responsibility toward the children they bring into this world just as the children have a responsibility to listen and to respect their elders. Fortunately sometimes this happens. Sadly it sometimes doesn't. The cycle of youth to middle age to old age continues. The attitudes don't seem to change much. Parents must capture the minds and imaginations of the children when they are malleable and more receptive to receiving the important messages of the ages. The child gets older and eventually dies as will their children. The sacred message of the Scripture must be planted in their minds when they are listening to those who are older. Attempting to teach youth in rebellion is a tough task that usually ineffectual. You shall not lie about your neighbor. In some ways I'm baffled about the United States government bending to those who are offended by the posting of the Ten Commandments on government properties and in courtrooms. Okay, so the first four might bother atheists, but then again if we look at these Commandments as the historical document that they are, any offense should be considered a non-issue. After all the foundation of law in western society has been rooted in the Ten Commandments. Thus we can argue that the Commandments are an element of our history. Other than to those who have some aversion to God or the institution of religion, there is nothing in the final six commandments that should be problematic to anyone no matter what they believe. Arguably there is even merit for all in the first four Commandments though none of these have any actual legal implications from the standpoint of government in our day. The actual desire in preventing the display of the Commandments is to remove any mention of God from our lives and our society. The whims of the few are imposed upon the many. Who should receive the greater respect, those Godless parts of society who would prefer that we all stop believing or God the Supreme Creator? Personally I'm in favor of God. God will win this in the end, but first the other side might have their day of temporary glory. Believers might pay when that time comes, but our rewards will be much greater when God's time comes. “Do not think that I have come to abolish the Law or the Prophets; I have not come to abolish them but to fulfill them. For truly I tell you, until heaven and earth disappear, not the smallest letter, not the least stroke of a pen, will by any means disappear from the Law until everything is accomplished. Therefore anyone who sets aside one of the least of these commands and teaches others accordingly will be called least in the kingdom of heaven, but whoever practices and teaches these commands will be called great in the kingdom of heaven. For I tell you that unless your righteousness surpasses that of the Pharisees and the teachers of the law, you will certainly not enter the kingdom of heaven." People worship many things--material possessions, celebrities, and even each other. We have a tendency to elevate others, our activities, and our possessions to a point of keen longing for them when they are apart from us. Our adulation is often misplaced. Things and people pass through our lives. They are temporal while God is eternal. Our eternal God is worthy of our feelings of most profound love and devotion and it is to Him that we should direct our worship. Love our families and friends in the sense that they should be loved. Enjoy our possessions and experiences but always keep them in perspective of the short-lived things that they are. But set your eternal sights on Almighty God. Worship Him for He is Lord. My upbringing has always reinforced the idea of finishing what I've started. There have certainly been times when I have fallen short of this worthy goal and most of those times I was not pleased in having been a quitter. I try to finish what I've started and carry the burden of not having finished something when that has been the case. Our image in this world is reflected in the work we do. If we gain a reputation for not following through with our stated commitments then we are known as unreliable, undependable, and not up to being given responsibilities. This can hurt us not only in our work life, but in our relationships with those around us. Slow and steady is a good philosophy to heed in most cases. Jumping headlong into a venture and then losing steam and giving up might look good at the outset, but it doesn't win the contest. Preparation is important. Pacing provides strength and stamina. If you're going to be a winner at anything, you have to finish those things. What you do in life and how you do it tells others who you are and what they can expect from you in the future. If you look back to see a life filled with failures in work and relationships then evaluate your performance to see how honestly you worked at those things in your life. Then look at yourself now to see what you need to do to change your image. Whenever you set out to do something, do it well and see it through to the end. Finish and finish well. Recruiter, Are You Worth Talking To?